Coproduction Office is an international film company producing and selling bold, award-winning films. 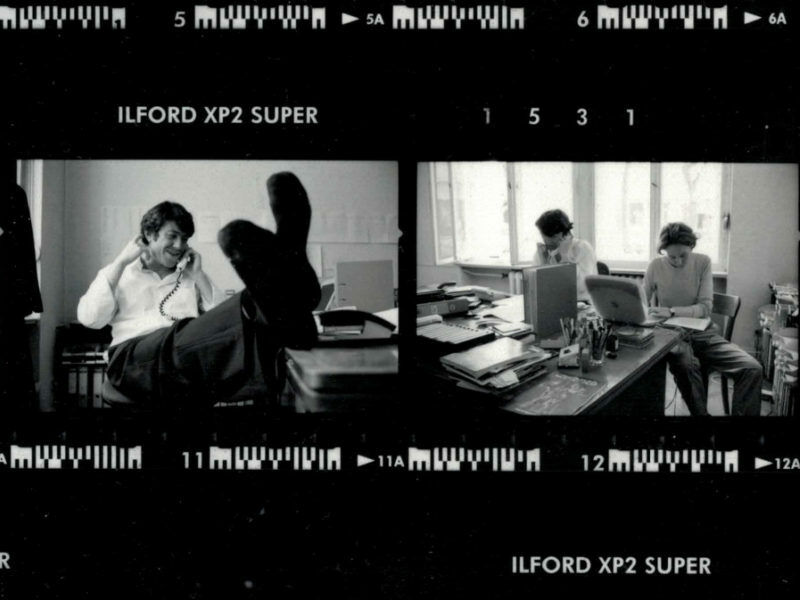 The founder of Coproduction Office, producer and entrepreneur Philippe Bober, partnered with ground-breaking directors* early in the careers to produce and sell more than thirty films to date. Seventeen of these were selected for Cannes’, Venice’s or Berlin’s Competition where they have received more than 20 prizes, including the 2014 Venice Golden Lion for Roy Andersson’s A PIGEON SAT ON A BRANCH REFLECTING ON EXISTENCE and for Ruben Östlund’s THE SQUARE, the 2017 Palme d’Or. As one of Europe’s finest production and sales entities, the company has a catalogue of films produced in house, as well as restored classics such as Roberto Rossellini’s key works. The catalogue is known for its carefully chosen gems, with at times transgressive content, and distinctive cinematic language. *Including Lars von Trier, Roy Andersson, Ulrich Seidl, Jessica Hausner, Takashi Miike, Lou Ye, Kornél Mundruzcó, Cristi Puiu, Dagur Kári, Michelangelo Frammartino, Carlos Reygadas, Corneliu Porumboiu, Shirin Neshat, Thomas Clay, Shin’ya Tsukamoto, Ruben Östlund, Gust Van den Berghe, Spiros Stathoupoulos. Coproduction Office's first feature film is Danish director Lars von Trier's EUROPA for which the company founder, Philippe Bober, provides the film’s non-Scandinavian elements, its financing from Germany and France, its non-Scandinavian cast with Jean-Marc Barr in the lead, and the Polish production services with an agreement arranged with Krzysztof Zanussi’s company, TOR. Lars von Trier's first international film is selected at the 1991 Cannes Film Festival where it wins the Jury Prize, and two other prizes. Lars von Trier wins Cannes Jury Prize for EUROPA in 1991. Photo credit © Jacques Demarthon / AFP. Bober is a producer and sales agent for Lars von Trier’s television series THE KINGDOM that premieres in 1994 Venice’s official selection, and secures a theatrical release in a 4 1/2 hour cut in all major territories. Bober continues with financing and producing BREAKING THE WAVES in France and Germany, which wins the Grand Prix at the 1996 Cannes Film Festival. He joins the founding team of the Sarajevo Film Festival in 1996 and serves as the Head Programmer (1996-1998) before initiating and curating the New Currents as well as the New Currents Shorts sections all major territories for to foster experimental works (1999-2016). Bober also initiates the CineLink Industry Days, the festival’s co-production market, and the Work in Progress section. He currently serves as a member of the board. In 1996, Bober begins working with Roy Andersson on SONGS FROM THE SECOND FLOOR. After four years of production in Andersson’s studio 24, the film wins the Cannes Jury Prize in 2000. 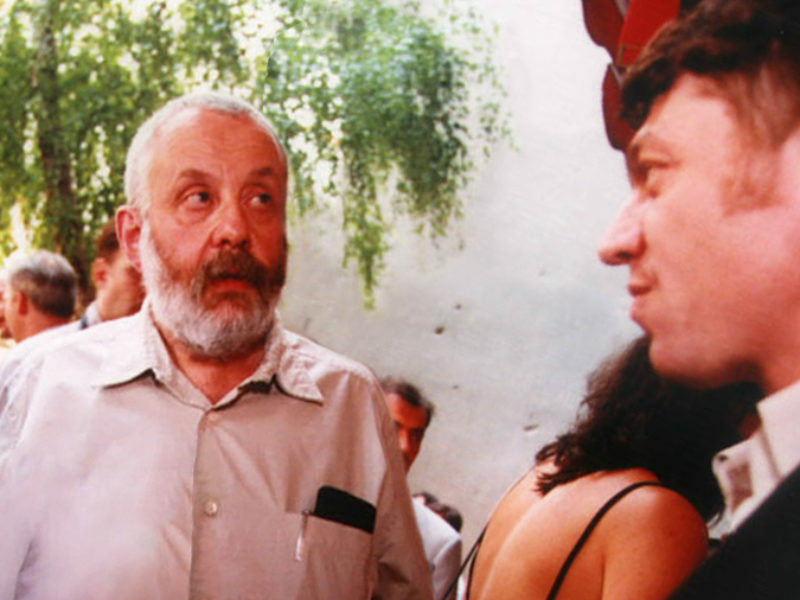 Mike Leigh and Philippe Bober at the Sarajevo Film Festival in the late '90s. Image credit © Sarajevo Film Festival. At the Sarajevo Film Festival, late '90s. 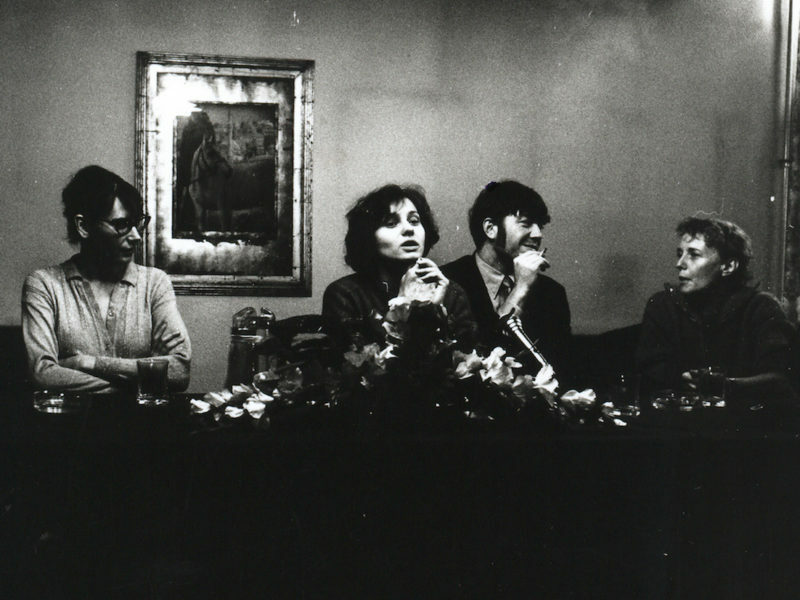 From left to right: Lucile Hadzihalilovic, the former festival press officer Dijana Marjanovic, Philippe Bober and Claire Denis. Photo Credit © Sarajevo Film Festival. Bober starts his ongoing working relationship with Ulrich Seidl by taking over the international sales of Seidl’s MODELS in Berlin in 1999, and later that year joining the production of DOG DAYS that goes on to win the Grand Prix in Venice two years later. This is Seidl’s first fiction feature, and marks the start of all of his feature films debuting in Competition in Cannes, Venice, or Berlin. Coproduction Office picks up the international sales for Jessica Hausner’s graduation film, INTER-VIEW, that wins the Jury Prize of the Cinefondation in Cannes. Bober joins the production of her first feature LOVELY RITA that is selected in Un Certain Regard in 2002, and has produced all of her further films. In 2000, Bober produces Lou Ye's SUZHOU RIVER, which will become one of the defining films of China’s Sixth Generation. Coproduction Office handles international sales for Takashi Miike’s AUDITION, which receives a Fipresci Award in Rotterdam. This film is a founding film of the J-Horror movement as well as the title that triggered the creation of the iconic "Asia Extreme" label by Tartan. In 2001, Bober picks up Carlos Reygadas’ JAPÓN that was presented in an unfinished state at Rotterdam and completes its post-production to present it in Cannes where it wins the Camera d'Or Special Mention, and launches Reygadas' career. The cooperation went on with Bober's production of Reygadas' second film, BATALLA EN CIELO, that was selected in Cannes Competition in 2005. Also in 2001, Bober works with Kornél Mundruczó on his short film, AFTA. This starts the cooperation with the Hungarian director, and continues with the production of four feature films. The last two, DELTA (Fipresci prize) and TENDER SON are selected in Competition in Cannes in 2008 and 2010 respectively. In 2003, the company produces the prize-winning Icelandic film NÓI ALBINÓI by Dagur Kári. Michelangelo Frammartino's IL DONO is awarded the Locarno's Jury Award. Cristi Puiu's THE DEATH OF MR. LĀZĀRESCU wins the 2005 Un Certain Regard Prize, and Corneliu Porumboiu captures the Camera d'Or at Cannes 2006 with 12:08 EAST OF BUCHAREST. These two films mark the start of the Romanian New Wave movement. In 2005, Coproduction Office begins an ongoing partnership with Ruben Östlund beginning with his short film, AUTOBIOGRAPHICAL SCENE NUMBER 6882, and continuing with his feature, INVOLUNTARY, which premieres at Un Certain Regard. 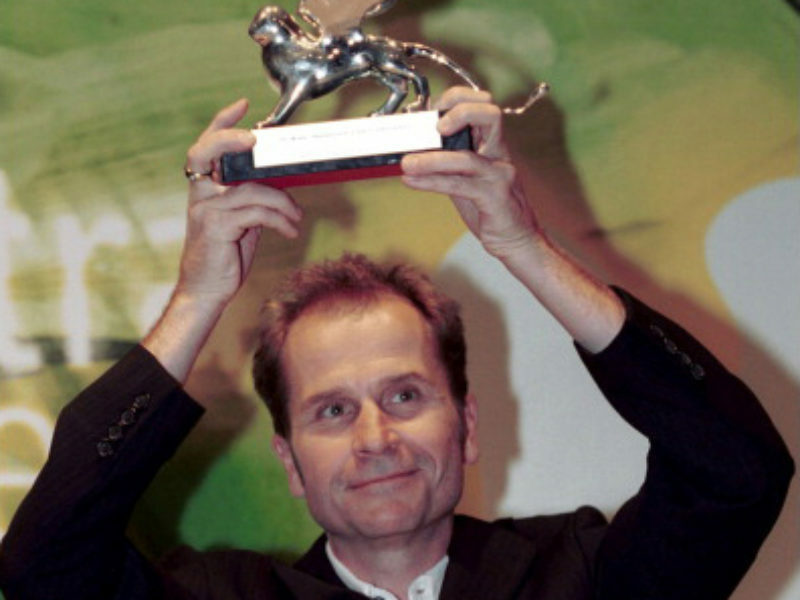 Ulrich Seidl wins the Jury Prize of the 2001 Venice Film Festival for DOG DAYS. Photo credit © Eric VANDEVILLE/Gamma-Rapho via Getty Images. In 2009 at the Venice film festival, visual artist Shirin Neshat's WOMEN WITHOUT MEN wins the Silver Lion with her first feature produced by Bober. Also in Venice, Jessica Hausner's LOURDES, a film that questions faith through a miracle, wins a unique combination of two religious awards and the union of atheists award. Michelangelo Frammartino's LE QUATTRO VOLTE receives the Label Europa Cinema prize at the 2010 Director's Fortnight for his second film, produced with Coproduction Office. In 2011, PLAY by Ruben Östlund is given the Coup de Coeur when it debuts in the Director's Fortnight. LA MACCHINA AMMAZZACATTIVI by Roberto Rossellini, the master of Italian Neorealism, premiers in 2011 at the Cannes' Classics section, which marks the start of the Rossellini Project — the restoration and promotion of 10 key films by the director that include his masterpieces ROME, OPEN CITY and GERMANY YEAR ZERO. Actress Lea Seydoux, actor Bruno Todeschini and Jessica Hausner attend the photocall for LOURDES during the 2009 Venice Film Festival. Photo credit © Dominique Charriau/WireImage. 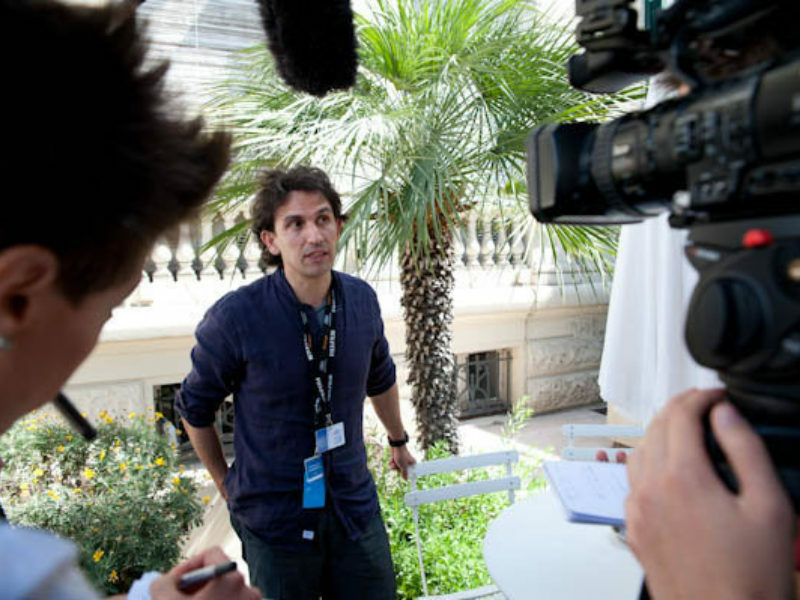 Michelangelo Frammartino interviewed about LE QUATTRO VOLTE during the Director's Fortnight at the 2010 Cannes Film Festival. Photo credit © Quinzaine. Ulrich Seidl's three films in the PARADISE TRILOGY have the exceptional success of being invited in three successive Competitions in Cannes, Venice and Berlin, with the second installment PARADISE FAITH winning the Venice Jury Prize. FORCE MAJEURE by Ruben Östlund wins the Un Certain Regard Jury Prize, and becomes a worldwide art-house success. In 2014, Roy Andersson’s A PIGEON SAT ON A BRANCH REFLECTING ON EXISTENCE wins the Golden Lion in Venice. This is the third film in Roy Andersson’s Living Trilogy after SONGS FROM THE SECOND FLOOR and YOU, THE LIVING, in a trilogy that took nearly 20 years to make. In a press conference, Andersson jokes that his next film - which is currently in production - will be the fourth part of the trilogy. 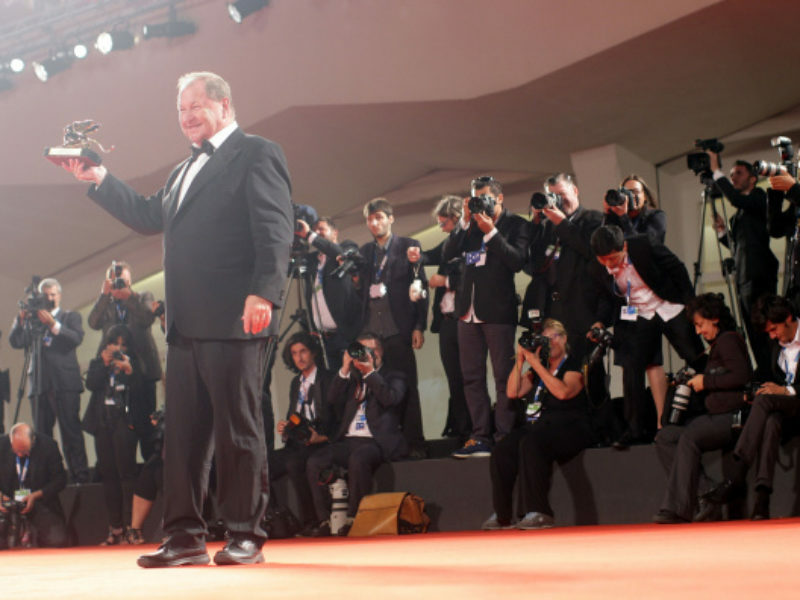 Roy Andersson with his Golden Lion at the 2014 Venice Film Festival. Photo credit © Franco Origlia/Getty Images. THE SQUARE wins the Palme d'Or. Coproduction Office works on upcoming films by Thomas Clay, Jessica Hausner, Roy Andersson, Susanne Heinrich, Gust Van den Berghe, Michelangelo Frammartino, Ulrich Seidl, and Ruben Östlund. 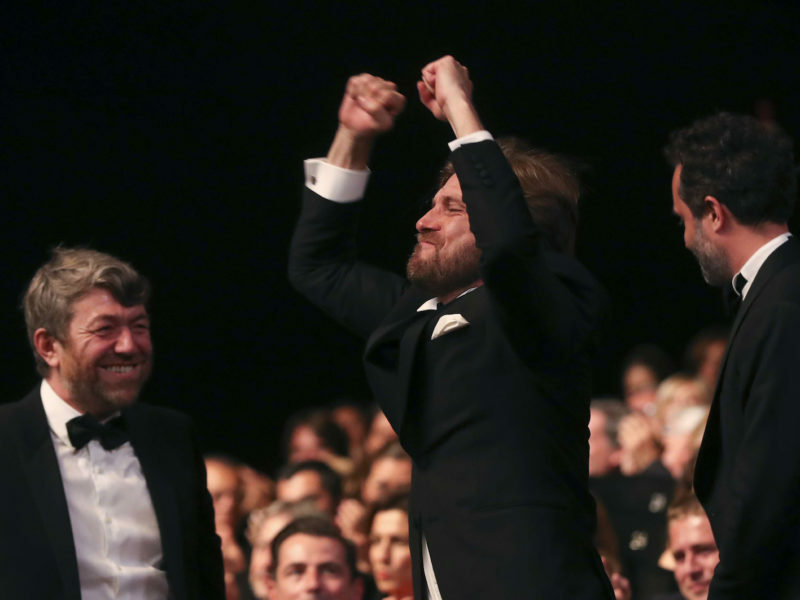 Philippe Bober, Ruben Östlund and Erik Hemmendorff at the 2017 Cannes' awards ceremony. Photo Credit © AP Photo/Alastair Grant.